We adapt to all concerns. To offer you a quality serice. We pick up you and show you what you want. Shore trips from Vigo, Coruña, Ferrol and Vilagarcía. Private and totally personalized service for cruise passengers. We operate in Vigo, A Coruña, Vilagarcía and Ferrol cruise terminals. Customize the tour to perfectly fit into your schedule, needs and interests. Shore excursions are exclusive tours for small groups of up to 7. The price is for the totality of the service, so the more you are (no more than 7 people) the less you pay per person (same price whether you are 1 or 7). Driver guide in English and Spanish. Fuel and transportation in a 7pax+driver van equipped with all comforts. This is a full day service. Several tour options (Rías Baixas, Rías Altas, Santiago de Compostela, etc) but we adjust to any destination you may suggest in the area of Galicia. Pick-up/drop-off service will be provided. Shore excursions must be booked at least 72h in advance. Choose the date and book with all guarantees. Voucher issued with your purchase. 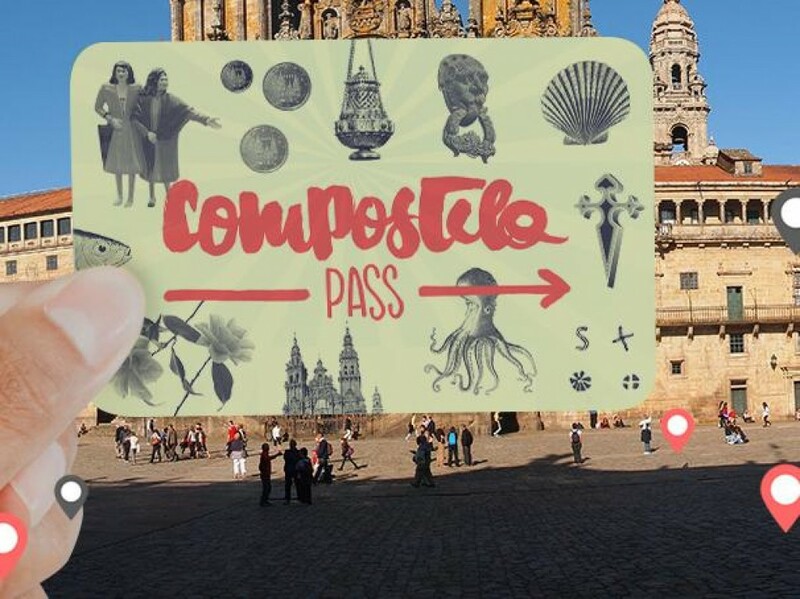 Compostela Pass es una manera diferente de vivir la ciudad de Santiago de Compostela. Esta tarjeta turística, iniciativa desarrollada por la empresa Art Natura, fue creada para poner a tu disposición ofertas y descuentos en numerosas actividades que te harán disfrutar de la ciudad con todo tipo de facilidades. Discover the charming of the Rías Baixas with the guides of Art Natura. We offer you the possibility of visiting the Pazo de Rubianes, a Galician country house with a botanical garden with more than 4.000 specimens of camellias. We will also go to Cambados, the cradle of the Albariño wine, and we will finish the tour visiting an Albariño winery. Art and taste all together on the same excursion. Discover the most unspoiled Galicia with this tour. We will visit the Cape Ortega, the Vixía Herbeira Cliffs, the highest point fo the Western Europe, and the Sanctuary of San Andrés de Teixido, where it is traditionally said that "vai de morto quen non foi de vivo" (meaning that all men will go there either in life or after death). You won't be disappointed with the magnificent views to the ocean during the trip! Departing from the port of La Coruña, we will travel to Lugo, where we will go deep into the Roman history of Galicia. We will tour around the old town and will promenade along the Roman Wall of Lugo, the only one in the wolrd to remain still as a whole. Upon our arrival to La Coruña, we will do a panoramic visit to the city. Take advantage of this opportunity to discover our history with this unforgettable tour. Upon your arrival to port, we will do a tour around La Coruña. We will visit the Picasso Museum, one of the most important artists of Spain, the Lugo Market, where you will find the greatest fresh products of our gastronomy, the Tower of Hercules, the most antique Roman lighthouse of the world, and the San Pedro Hill, with its incredible views of the city and the Atlantic Ocean. Don't miss the unique opportunity of discovering the art, history, gastronomy and nature of this enchanting city! Departing from Vigo, immerse yourself in history with this fascinating tour. We will visit Baiona, the town where the Carabela Pinta arrived with the news of the discovery of America, and the Castro de Santo Tecla, in A Guarda, an antique Celt village where we will admire the circular constructions of this civilization. The tour ends with a panoramic view of the city of Vigo. Don't miss this unique opportunity of discovering the history of Galicia. If you don't know Santiago de Compostela, this is your tour. It is a must-see destination with so much to offer. Beyond its valuable artistic and architectural heritage, Santiago is a vibrant and lively city, goal of pilgrims from around the world, with a dynamic university, a friendly atmosphere and amazing food.